Just because new moms aren't hitting the gym doesn't mean they aren't doing one of the most demanding workouts of all: It takes about 20 calories to produce one ounce of milk. So, with babies who down ounces upon ounces each day, that means breastfeeding mothers can easily burn hundreds of calories almost literally in their sleep. All that hard work can result in quite an appetite, which can have new moms reaching for whatever is most convenient. But convenience doesn't have to come at the cost of good nutrition, taste and lactation-boosting powers—as proven by the delicious Booby Boons Lactation Cookies from Stork and Dove. "Nourishing your body is just as important now as it was when you were pregnant. Not only are you recovering from pregnancy and birth, you are making milk to sustain your baby—and all the thousands of other things you do for them every single day," says Diana Spalding, Motherly's Birth Expert, midwife and pediatric nurse. "You are working so hard, mama. You deserve to fuel your body with the best—and it doesn't hurt when the best also happens to be delicious." The natural goodness of oats does so much more than make for tasty cookies. Considered to be a top galactagogue—or a substance that helps boost milk supply—oats are rich in iron, fiber and protein. Because low iron can reduce milk supply, mixing a scoop of oats into lactation cookies is a tasty way to give your body the boost it may need. For generations, nutritional yeast has been a remedy suggests to mamas looking to boost their milk supply. And for good reason: With protein, phytoestrogen and B12 found in fortified versions, nutritional yeast can provide nutrients to stimulate milk supply—while also offering a boost of energy. Rich in Omega-3 fatty acids, flaxseed is good for the brain health of mothers and babies. Not to mention that with a nice nutty taste and great protein profile, they make nice additions to lactation cookies by helping you stay full longer. When it comes to lactation cookies and promoting brain development, varied sources of Omega-3 fatty acids are so helpful—and chia seeds deliver there. Found in some of the Booby Boons Lactation Cookies, chia seeds also deliver protein, calcium and magnesium. Few things can take a toll on milk supply like when you're under the weather. 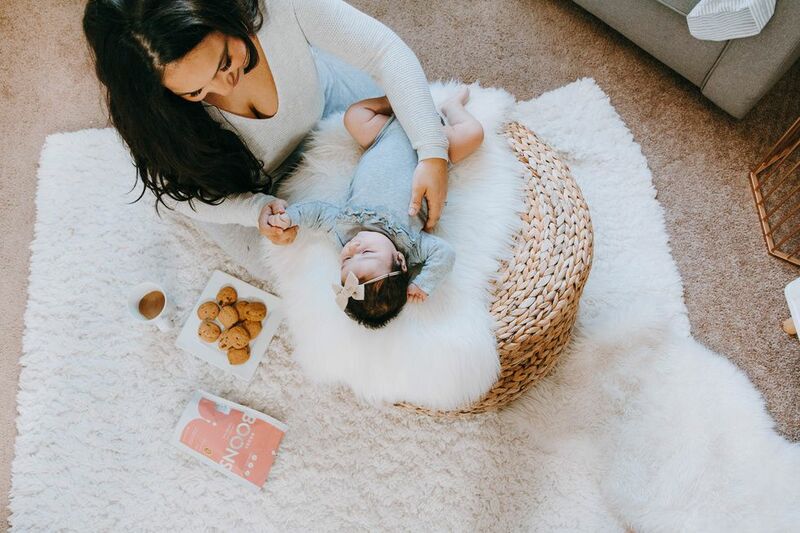 Booby Boons+ Lactation Cookies provide a probiotic boost, keeping your immune system up and digestive health in check for better production—and a healthier-feeling mama. Bonus: A sense of relaxation and ease is clinically proven to aid in milk production. Even better, the cookies are wheat-, soy- and preservative-free! So grab a cookie, take a moment for yourself and boost that supply. Grab your cookies HERE or at Target and other fine retailers. This article was sponsored by Stork and Dove. Thank you for supporting the brands that support Motherly and mamas. Stork and Dove was created with a simple mission: to make health-wise, functional, safe & convenient, non-GMO products that moms can enjoy and benefit from. Our Booby Boons Lactation cookies are made with the purist wheat-free & soy-free ingredients including Stork and Dove's proprietary blend of natural, non-herbal galactagogues proven to support and increase breast milk supply naturally and safely.